Now that your group is a few weeks into the study, you’ve discovered that there are some people that have a lot to say. They answer every question. They dominate the discussion. You secretly hope that they won’t come back. But, the fear is that the rest of the group might leave. What do you do? This is a tough one, because you want people to open up and share. Unfortunately, some people aren’t self-aware enough to realize that no one else is talking and that the group is not all about them. I know this guy. I’ve been this guy. Here’s how to deal with me, I mean, him. 1. Take a deep breath. This isn’t going to be the showdown at the O.K. Corral. Jesus is with you. He wants them to shut up too. 2. Drop a hint. 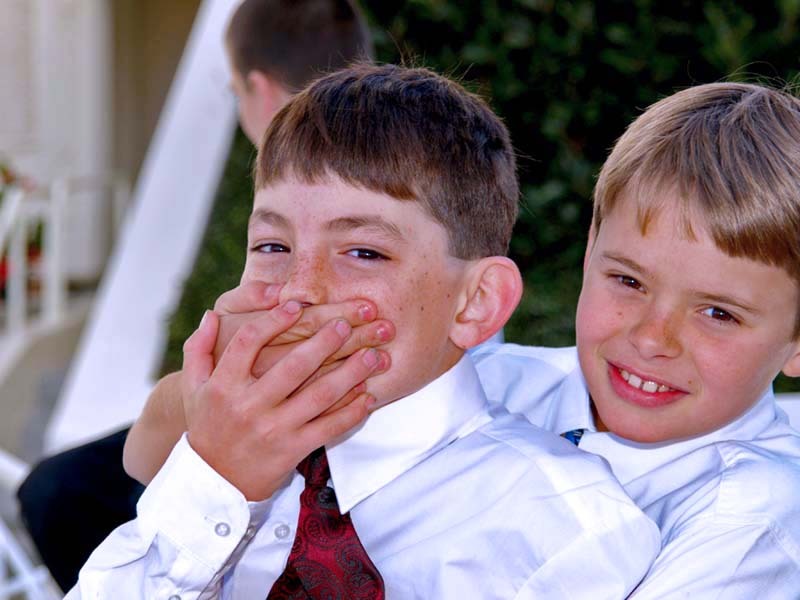 After two or three questions, if your big talker keeps chiming in and dominating the discussion, say something like this: “Okay, some of you have been kind of quiet so far, let’s hear from someone who hasn’t shared yet.” In small group language, this means “shut up, blabbermouth,” but we are too kind and relational to actually say that. For most big talkers, this should work. 3. Don’t look them in the eye. When you ask the next question, intentionally avoid eye contact with your big talker. Look at other people. Pray that they will open their mouths. By avoiding eye contact, you discourage the big talker from speaking up. 4. If they still don’t get it: Next time, sit by the big talker. Intentionally place yourself right next to the person. First of all, this avoids direct eye contact, because you can’t really do that without the risk of a neck injury. Secondly, if they haven’t gotten the hint by now, when you ask the question and you see them begin to answer, tap them on the leg or gently elbow them. This will cause them to pause long enough to allow someone else to answer. 5. The Nuclear Option. If after using these tactics for a couple of meetings and the big talker still hasn’t changed, it’s time to have “the talk.” It goes something like this: “Have you noticed that some of the folks in our group don’t talk very much? (“Yes, they must not be as intelligent as I am.”)Would you help me draw some of those folks into the conversation? (“Sure.”) Here’s what I need. Let’s wait until a couple of our quieter folks have shared with the group before you jump in. You have some great things to say, but we need to make sure that everyone gets their word in. Here is what I suspect about your big talker. He or she probably has a leadership gift, a teaching gift or a neurotic personality (I’m not joking). If she is a leader, then with the right coaching, she could probably lead her own group one day. She just needs to be directed toward the right behavior in group. If he has the gift of teaching, then a BrookwoodU class or another more formal setting would probably better suit his gift. Small group leaders with a teaching gift turn their group into a Sunday school class, even if they don’t meet on Sunday. If the person constantly talks about himself and completely dominates the discussion, even after you’ve exercised the Nuclear Option, then you might have a big problem on your hands. “The term ‘neurotic disorder’ is used to loosely describe a range of conditions that involve an inability to adapt to the surrounding environment’” (Source: Lifescript.com) Now that you’ve quickly diagnosed half of your group and your mother-in-law, don’t move too quickly on this. The Care and Support Department at Brookwood Church is a great resource to get advice on how to help a neurotic personality. Connect with our Care Department and see what your next step should be. Chances are, they might already know your big talker. While small groups are a place to share and to support each other, leaders must be conscious of how the behavior of one member can affect the entire group. Work with your big talkers. Your small group will thank you.